Nainital Bank Recruitment 2017 – Apply Online for Clerks Posts :- Nainital Bank Limited has released latest notification for the recruitment of Clerks posts. Desirous & eligible candidates may apply online from 04/07/2017 to 24/07/2017. Age Limit: 18 to 27 years as on 31/05/2017. Educational Qualification: Graduation/ Post Graduation with minimum 45% of marks in either of Graduation/ Post Graduation examination in the streams of Arts/ Science/ Commerce/ Agriculture/ Management/ Others from a recognized university/ Institute. Knowledge of Computer Operations is essential. Starting Date of Online Application : 04/07/2017. Last Date of Online Application : 24/07/2017. Application Procedure : Eligible candidates may apply online through website http://www.nainitalbank.co.in from 04/07/2017 to 24/07/2017. 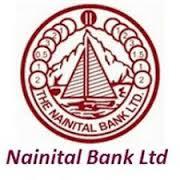 Nainital Bank Limited has published latest notification for filling up 43 Specialist Officer in Scale I & Scale II. Desirous & eligible candidates can apply in prescribed application format on or before 31/10/2016. Age Limit as on 30/09/2016. A. 01. Rajbhasha Adhikari: Bachelor’s Degree in Hindi with English as one of the subject from recognized University with 60% marks. A. 02. Law Officer: 3/5 years Professional Degree in Law with minimum of 55% marks from a recognized University/Institute. A. 03. Personnel Officer: Graduation/ Post Graduation along with Master’s Degree in Business Management/ Administration/ Post Graduate Diploma in Business Management with minimum 60% marks with specialization in Human Resource Management. Application Procedure: Eligible candidates can send their application in prescribed format along with all essential documents to The Vice President, HRM, The Nainital Bank Limited, Head Office, Seven Oaks Building, Mallital, Nainital-263 001 (Uttarakhand) on or before 31/10/2016. Subscribe our free job alert mail for Nainital Bank Recruitment 2017.